There was the Ducati M900 Monster (became the Ducati M1000 Monster), then the Ducati M600 Monster (became the Ducati M620 Monster) and then the Ducati M750 Monster (which became the Ducati M800 Monster), covering the vacant middle ground in the Ducati Monster family. 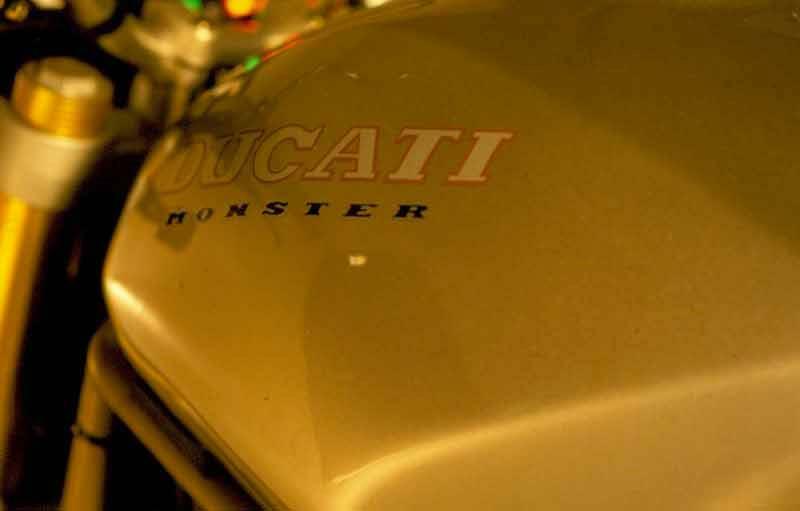 As with the others, the Ducati M750 Monster or Ducati M800 Monster is a beautiful, painfully cool machine and, like the others, enjoys teasing owners with its fiery, Latin temperament. Imperfect but an iconic machine nonetheless. Jerky throttle response and a heavy clutch mean on/off town work is hard going. Slow speed manoeuvring’s tricky too, given a poor turning circle. But the power’s where you want it and the brakes are great. At speed, the handling’s good but pegs and cans can scrape and the front suspension’s a bit squashy for anything too adventurous. The Ducati M750/800 Monster's engine’s been taken from the Ducati 750SS but detuned to provide more midrange grunt for this urban roadster motorcycle. Healthy torque means easy fun in town without millions of gear changes, whilst the powerband’s perfectly suited for blasting down twisty lanes, too. The Ducati 750 Monster used carburettors - the later Ducati 800 Monster was fuel injected. Ducati M750 or M800 Monsters, like all Ducatis of this vintage can be touchy but it’s often the electrics, rather than anything mechanical, which goes wrong. Component-wise, they’re beautifully built and put together. If you’re adding or repairing anything, use Ducati OE parts, if possible. Midway between the 600 and the 900, this 750/800 is a good compromise: the sprightliness of the former combined with (most of) the extra oomph of the latter. And, as Ducatis go, it’s not a bad price. For not a whole lot more, you could get a Monster M900 and an extra 15 or so bhp. 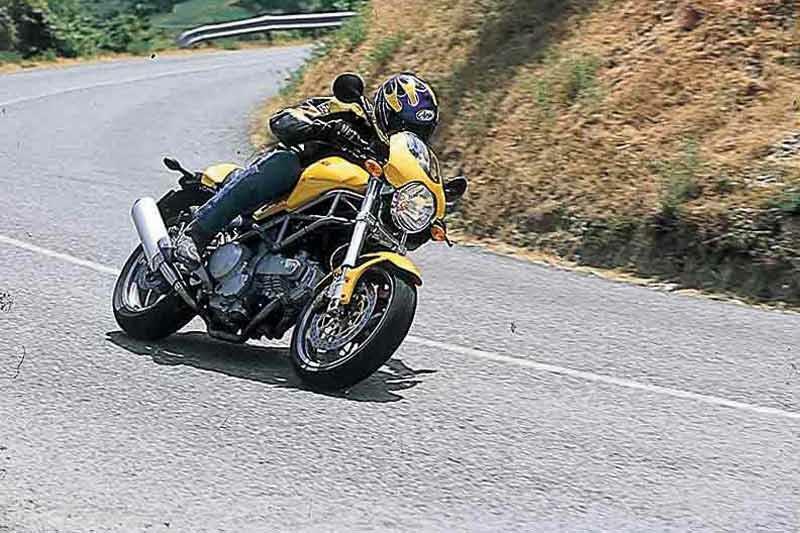 Find a Ducati Monster 800 for sale. 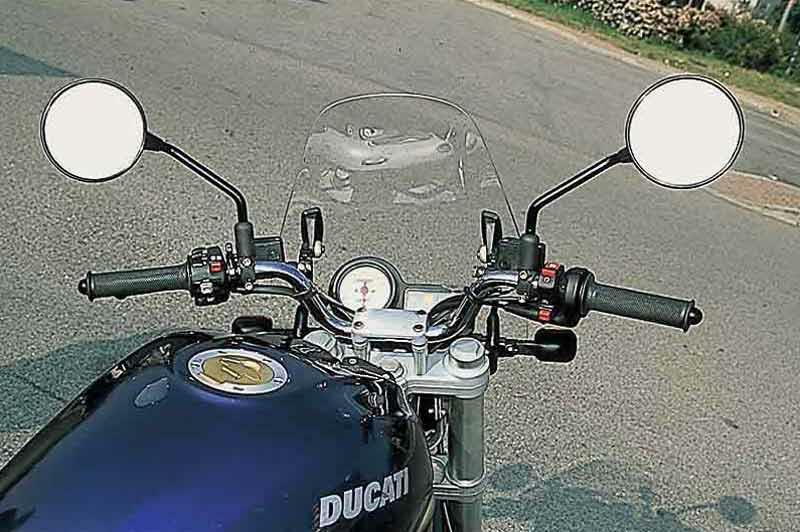 The dash on the Ducati M750/800 Monster is a bit spartan, especially the Ducati M750 Monster without a rev counter… Plenty of warning lights but no useful gauges. Low seat and high bars look the part but discomfort on long distance rides is a common complaint, especially amongst tall riders. 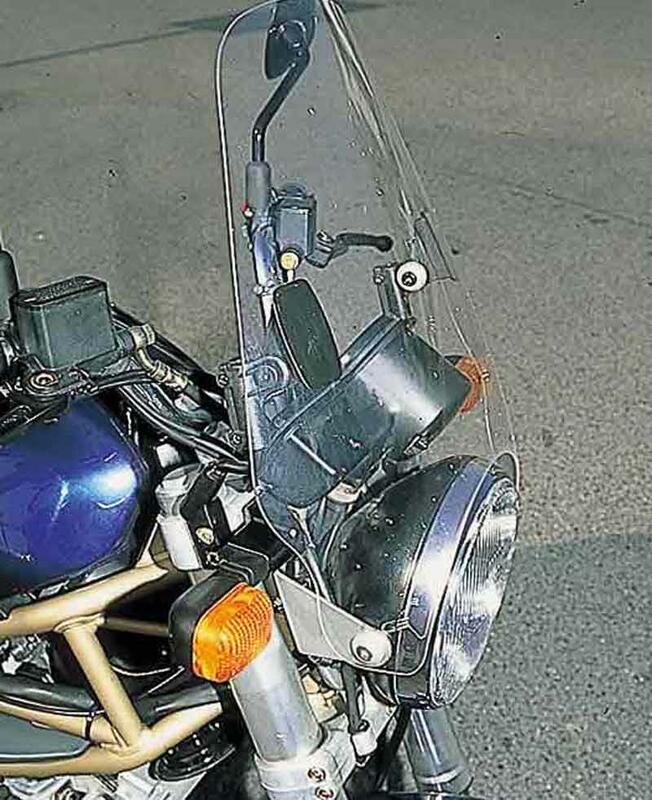 Aftermarket screens are a good idea if you want to ride over 85mph. 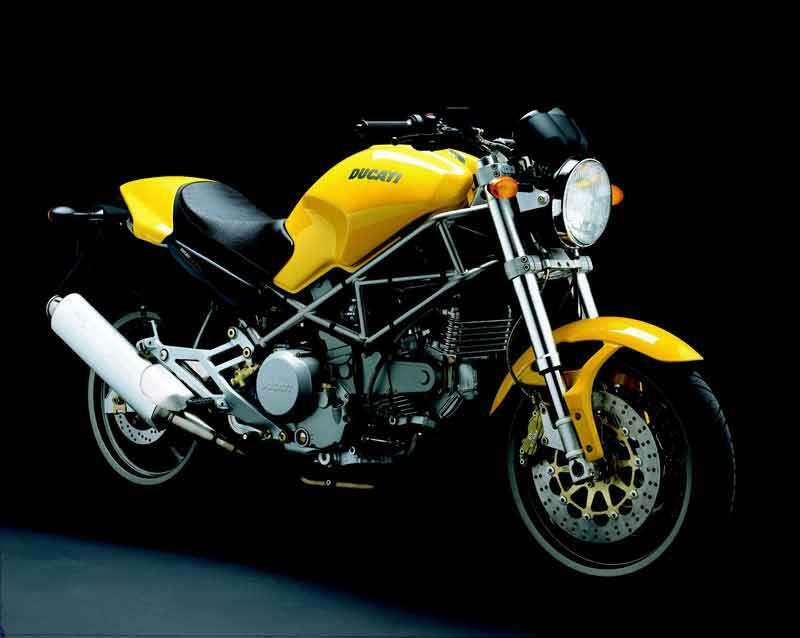 1996: Ducati M750 Monster introduced, similar to the DucatiM900 Monster but using the engine from the Ducati 750SS. Five speed gearbox and single front disc. 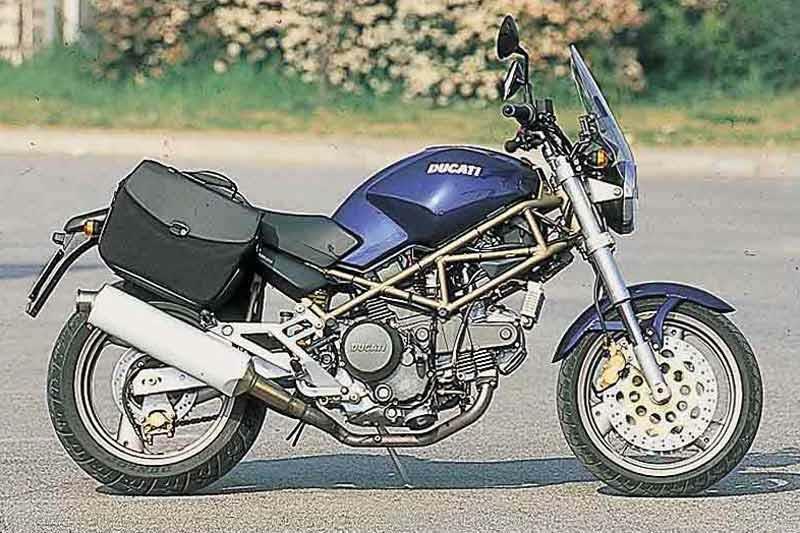 1997: Ducati M750 Monster now has two front discs plus new alternator and regulator. 1999: Another new regulator. Is there a pattern forming here? 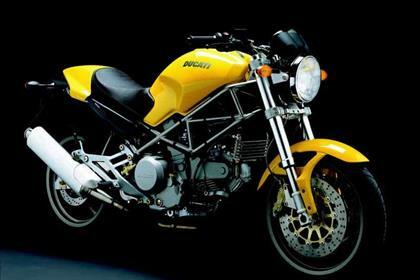 2001: Ducati M750 Monster discontinued and superseded by the Ducati M800 Monster range. 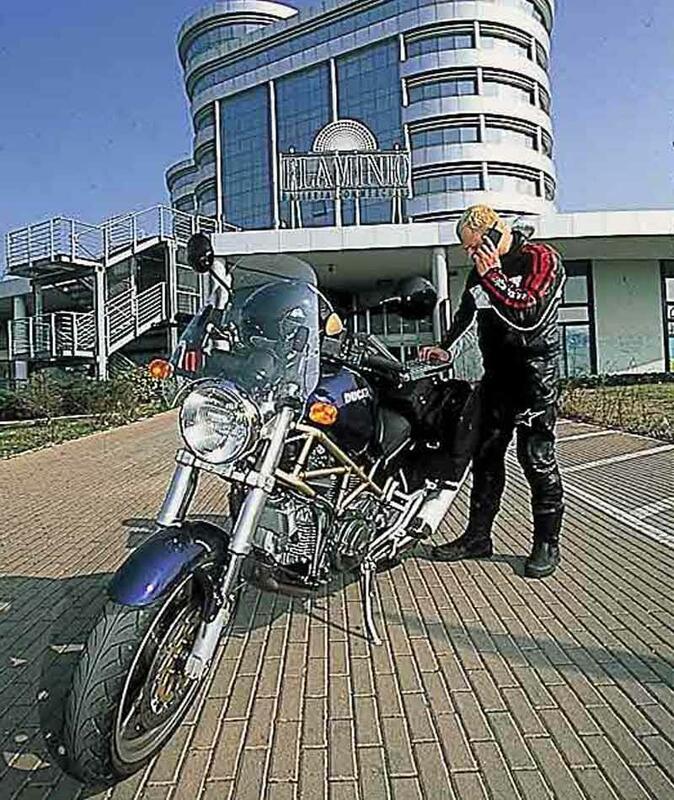 Ducati M750 MonsterDark: “Budget” version. Matt black, no seat cowl and a little bit cheaper. 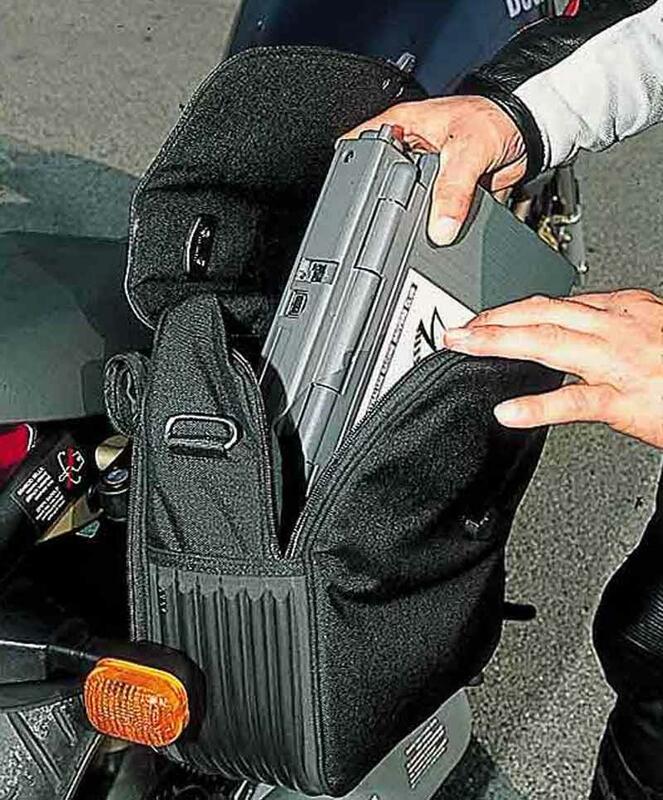 Introduced in 1999, discontinued 2001 when an “ie” Dark was launched, along with the DucatiM750ie Monster (both were discontinued the following year). 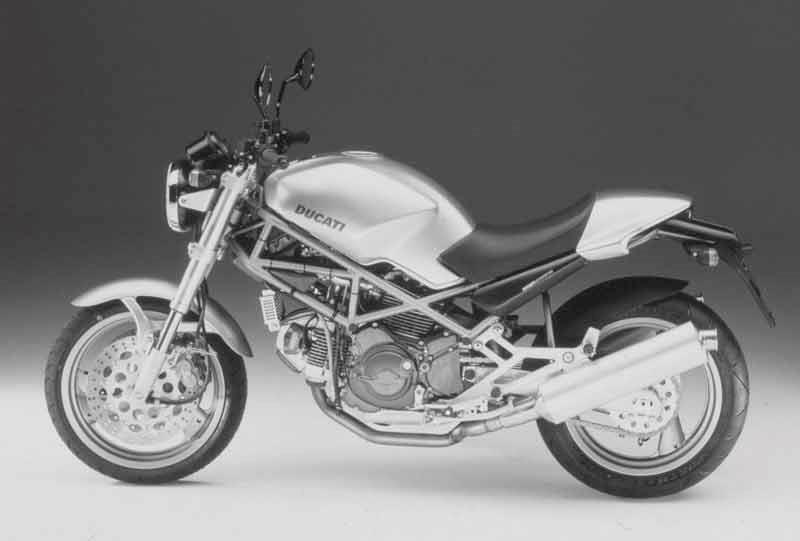 Ducati M750ie Monster: Essentially the same as the standard bike but with fuel injection. Introduced 2001, discontinued 2002. 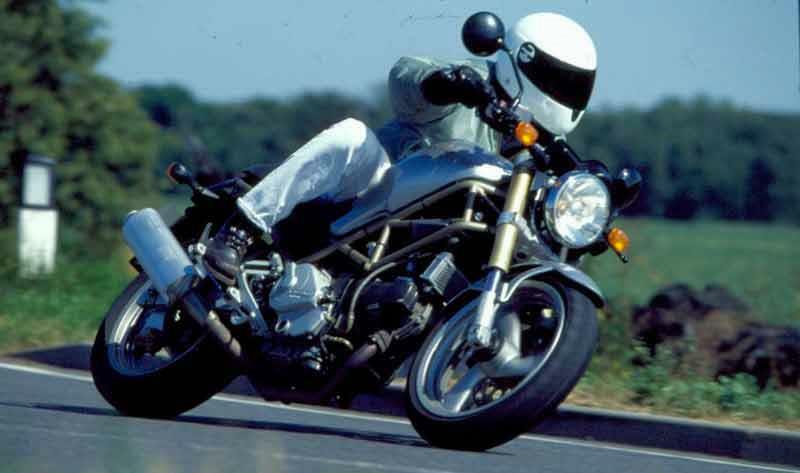 Ducati M800 Monster: The 803cc version, launched in 2002 with six gears, 73bhp, a lighter clutch and more ground clearance. Discontinued at the end of 2003 when it morphed in to the Monster S2R. Ducati M800S Monster: “Special” version of the new model with alloy swingarm, bikini fairing and carbon fibre body parts. Discontinued in 2005. 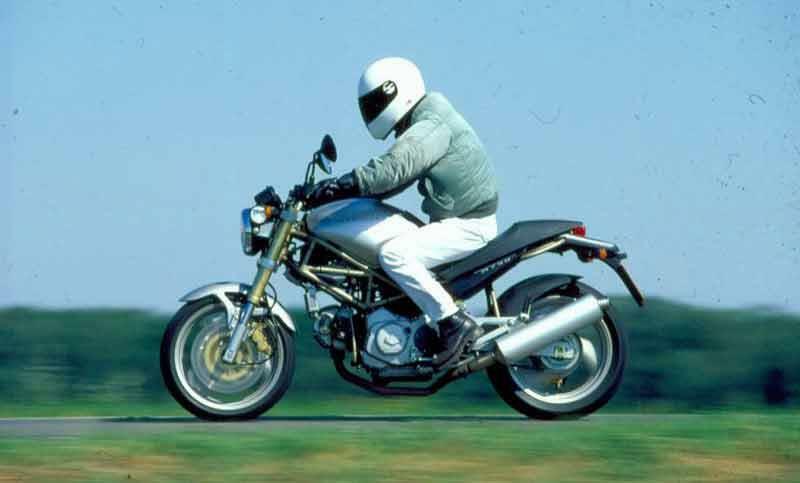 2 owners have reviewed their DUCATI MONSTER 800 (1996-2005) and rated it in a number of areas. Read what they have to say and what they like and dislike about the bike below. Its the fuel injected model, so very quick and peppy. Not sluggish at all. Its been a very painless 100,000km ride. Doesnt really have much in the way of additional equipment, but what do you need anyway. I run Conti Road Attack 2's on my bike and they work extremely well together.